Lesley is a PMA Certified Pilates Teacher, has completed a Masters Pilates Program from The Pilates Center in Boulder, CO, and most recently completed ‘The Work,’ a masters program taught by one of Joseph Pilates ‘Elders,’ Jay Grimes. Lesley teaches private Pilates sessions, duets and group classes in Los Angeles. She also teaches online Pilates classes and online private Pilates sessions, and leads Pilates retreats around the world. Lesley Logan teaches classical Pilates classes in Los Angeles, California, at a private studio. She offers private sessions, semi-private sessions, duos, mat classes and retreats. Additionally, Lesley offers online Pilates classes and private sessions. To book a Pilates Session with Lesley, contact her here, or sign up for this week’s online class below. Lesley’s Mat Classes Have Moved! 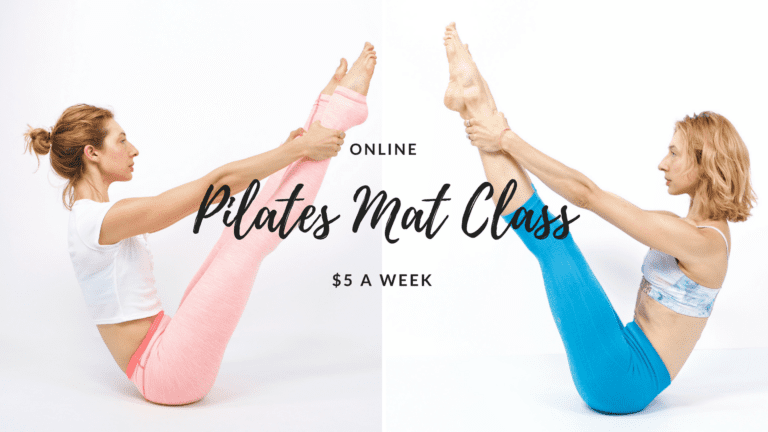 Lesley's weekly $5 online mat classes have moved over to her new website, OnlinePilatesClasses.com. Click above to see more online Pilates classes available from Lesley Logan. Lesley offers private Pilates sessions online via Skype or FaceTime. Use coupon code “LLOGAN” for 30 days of free classes during PilatesAnytime.com registration. In October 2014, Lesley Logan was written up in Pilates Style Magazine. View the article here. Lesley believes Pilates is more than a workout, it’s more than feeling the burn. Pilates helps you do everything you love to do but better! It doesn’t matter what your age, your goals (or lack thereof), your abilities Lesley believes Pilates is for you. Lesley takes your goals, desires and your bodies need and cultivates every session around you. Each session is tailored to connecting your mind to your body, challenging you where you are today. She knows that in time you will develop a Pilates practice that you can do where ever you are in the world. Which is why she teaches in person in LA, on Pilates retreats and online. Pilates opened Lesley’s eyes up to the power she held within and she aims to help you find yours. Ready to connect your body with Pilates? Ready to feel strong and stand tall? Ready to be confident in everything you do? Join Lesley wherever you are! Pilates is a way of life. Lesley believes Pilates is a strength based workout that uses functional movement exercises to connect your mind to your body. In every session, you will work your entire body out leaving no muscle overtrained or undertrained. The body functions at its best with it is balanced and strong. Pilates is designed to correct posture, tighten what is loose and create flexibility where you are tight. The benefits of Pilates are both physical and mental. But, most important Pilates is for everybody and you’ll leave every session feeling invigorated and alive. Bring in your goals and your body and be ready to see what Pilates can do for you today and your life tomorrow! Joseph Pilates originally called his unique form of movement Contrology “the complete coordination of body, mind, and spirit.” We now refer to his methods as Pilates. Pilates is a strength based workout designed to lengthen and strengthen your muscles. Every exercise is initiated from your Powerhouse thus teaching your body to stabilize before it moves. A consistent Pilates practice will not only change how your body looks but also how it feels! In the words of Joseph Pilates “in 10 sessions you’ll feel different, 20 you’ll look different and in 30 you’ll have a whole new body.” When you add Pilates to your regimen it will make everything you are doing more effective! LESLEY LOGAN is a PMA Certified Pilates Teacher and has been studying and teaching Joseph Pilates Classical Method since 2005 and 2008 respectively. She also has eight years of retail management experience, and six years managing studios regionally for Equinox fitness clubs. Hooked after her very first class in Orange County, Lesley arranged her schedule to take Pilates classes every day. This enthusiasm moved her to Los Angeles, where Lesley completed a 600 hour Classical Pilates Teacher Training. Soon after, Lesley completed a Masters Pilates Program from The Pilates Center in Boulder, CO, while training elite marathon runners for Nutribullet’s first Los Angeles Marathon. Her love for learning the method didn’t stop there, as she became the Lead Teacher Trainer for Equinox Pilates and led dozens of apprentices through their program from 2012-2016. In 2013 Lesley was voted ‘Best Pilates in Los Angeles’ by Los Angeles Magazine, featured in Pilates Style Magazine, can be seen on PilatesAnytime.com, and recently has completed ‘The Work,’ a masters program taught by one of Joseph Pilates ‘Elders,’ Jay Grimes. Maintaining that Pilates is a unique practice that is right for everybody, Lesley tailors the method for each client. Her goal is to help them connect their mind to their core, creating intentional body awareness so they can move from their center, be taller and stronger than when they walked in. You can find Lesley teaching private clients at her studio in Westwood, Los Angeles or through Skype or Facetime. She also offers online business courses for beginning to advanced Pilates instructors, studio owners and teacher trainers at her website, ProfitablePilates.com, and leading groups on Pilates retreats around the world. Blog posts by Lesley Logan or guest bloggers. 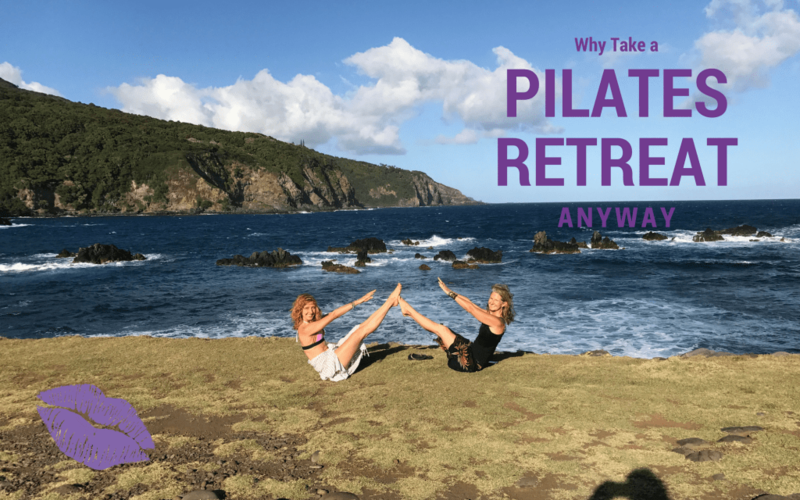 On my recent flight home from teaching in Holland and London, I met a fabulous Pilates lover who asked: “what happens on a Pilates retreat?” What does one get after coming on a Pilates Retreat? 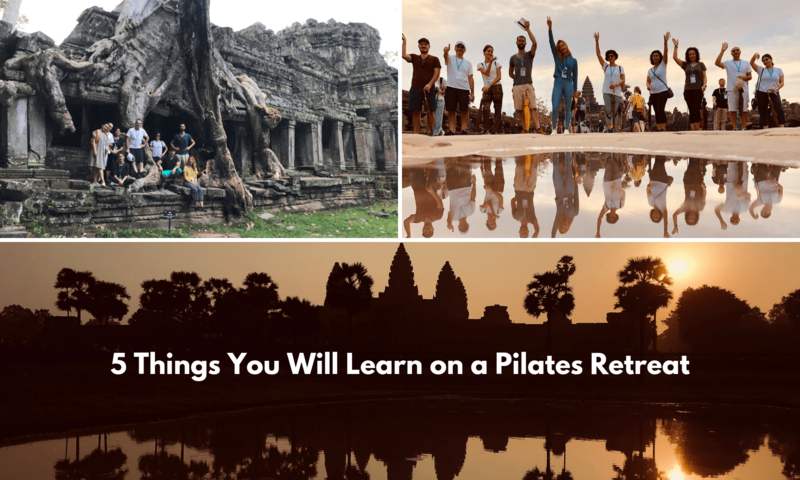 And, I was so excited to share all the things you do on a Pilates retreat and also the many things a retreater learns when coming on one of my Pilates retreats that I had to share them with you! Pilates is a method and a process that compounds in your mind and body overtime. When Joseph Pilates created his method he believed that in “10 sessions you’ll feel different, in 20 sessions you will look different and in 30 sessions you will have a whole new body.” People often forget that last part which says you have to do it four times a week! But, as we know practice simply makes habit. And, Pilates is more than choreography. It’s truly the ability to connect and maintain that connection as you move. So, how do you reach in Pilates? 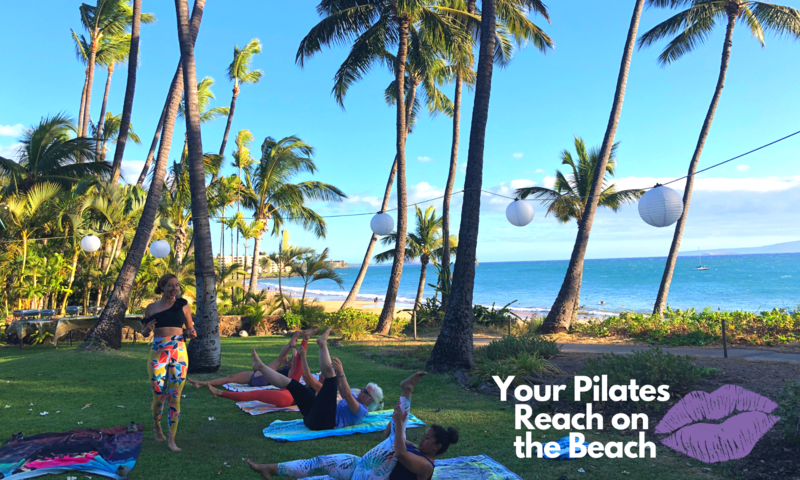 You are in search of the perfect Pilates Retreat, it’s on your bucket list but you only have so much vacation time in a year. Your partner, kids, friends all want to go on a trip too! When push comes to shove your Pilates retreat gets pushed to next year and you are left with a little FOMO while going on a family trip. But, what if you could have a family vacation and Pilates retreat all wrapped up into one?